Spatial Data for development and construction since 2000. ESL are a single source provider of survey services to the Construction, Marine and Building industries. Operating from our base in Hong Kong we have a peak workforce of over 200 staff and have been involved in some of the largest infrastructure and building projects undertaken in the region over the past 17 years. From Topographic and Hydrographic Surveys to High Definition Laser Scanning and from Aerial Photogrametry with UAV’s to 3D BIM Models the market for collecting and presenting spatial data has never been larger. Engineering Surveys, as a multi-disciplined, single source provider of survey services are well placed to serve this market. "ESL Survey 1" is a 7.9m Cheetah Marine specialist Hydrographic Survey catameran with Hydropod allowing the Multi Bean Transducer to sit near the boats COG therebye providing the most stable survey platform. 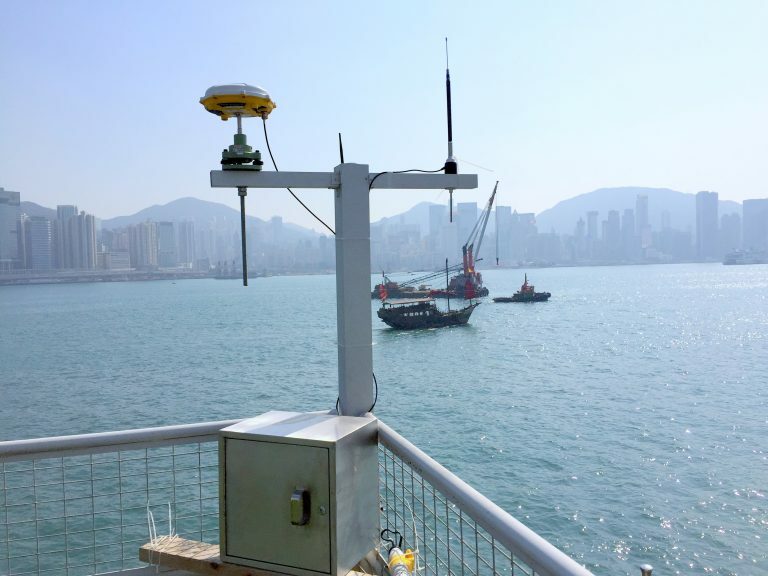 "ESL Survey 1" is currently moored at Hung Hom and carrying out daily surveys in support of an Immersed Tube project. Having completed projects in Hong Kong, Macau, Malaysia and Taiwan Engineering Surveys have found that Construction Experience counts wherever you are. ESL will typically provide the full range of Survey staff to a project from Survey Manager to Site teams to Draftsmen and Office support staff. The automation of underground construction requires survey staff to be technically adept and able to quickly learn proprietary software such a guidance systems, profiling systems and monitoring software. ESL staff have extensive experience in Drill and Blast / TBM's and Pipe Jacking both in Hong Kong and Overseas. Our high precision Gyroscope is currently used on most of the major tunnelling projects in HK. Monitoring for settlement alone is quickly being replaced by 3 Dimensional monitoring and 24 hour systems. ESL can provide the full range of monitoring options including 24 hour 3-D monitoring using ADMS systems or fully automatic GNSS sensors reporting to a cental database. We also provide traditional monitoring services for settlement or lateral movement. From BIM models to Othophotos to Topographic Plans and beyond the accurate collection and presentation of data is our business. ESL can provide the solutions both for data collection and data analysis. From Plans to sections to volumes to BIM modelling we can provide the most cost efficient solution. BIM is changing the face of Building Construction in a similar way to the changes driven by the widespread adoption of CAD in the early 1990’s. Many companies can provide data collection and others specialise in BIM modelling. At ESL we offer the best solution for your particular needs. This may range from Data collection only, data collection and BIM modelling or data collection and the use of BIM modelling partner. ESL have typically used Laser Scanning in support of our construction clients either for progress records or monitoring. The market is now moving towards scanning in support of BIM which is being actively encouraged by the Hong Kong Government. 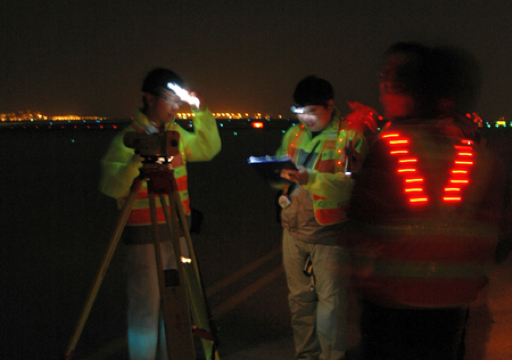 Engineering Surveys currently operate a “Leica P20” High Definition Laser Scanner for larger areas with a “Faro Freestyle” hand scanner for inaccessible area. UAV photogrammetry provides a quick and relatively cost efficient way of collecting spatial data with processing software becoming ever easier to use. ESL are currently carrying out the stockpile volume check for a major power station. This has involved obtaining a permit from the Civil Aviation Authority which in turn requires approval of operation manuals, flight lines and practical flying tests for UAV operators. The recording of spatial data for heritage conservation is a relatively new discipline and is driven by the emergence of laser scanners capable of collecting a huge amount of data in a relatively short time. In addition to scanning, photographic records and BIM modelling completes the historic record.